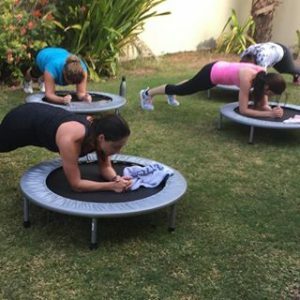 JumpFit – a class invented by Jennifer herself and held at the TIMA(R) as she is the Middle East Brand Ambassador. 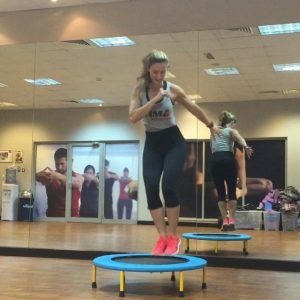 Jennifer Chalouhi – a Personal Trainer by trade – will offer 30 minute taster of Trampoline Cardio called JumpFitDubai – where you’ll be moving your feet and body to the beat of the song! Once you get started you’ll soon see you don’t want to stop. You won’t even notice you are doing cardio because jumping on a mini trampoline is so much fun!